be explored. Of the nine bays, Tangolunda and Santa Cruz are the ones with the best facilities for water sports (including skiing and windsurfing). Here we present an overview of the nine bays, from east to west. Santa Cruz Bay has a jetty from where several powerboats, sailboats and yachts that undertake travel winding around nine beautiful bays. Has a dock specially designed for cruisers and, for the time passengers spend on land, a charming square dotted with stalls, a craft market and shopping center, with numerous restaurants, bars and nightclubs. 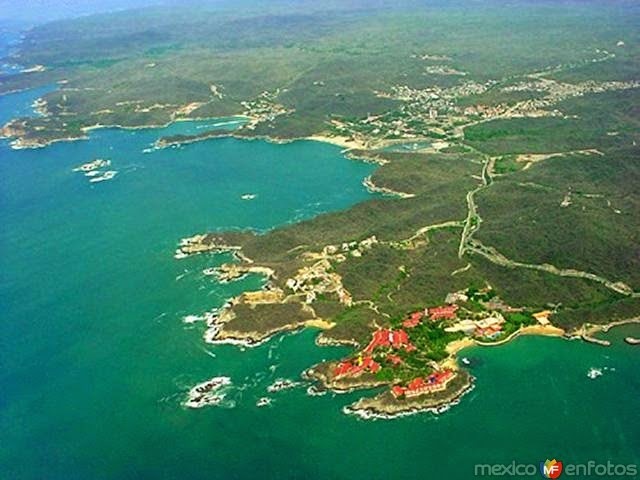 Tangolunda Bay is the main hotel area, home to the best hotels in Huatulco, and is an ideal option if you want to stay in luxury and a place of great development. This is also ideal for sailing, diving, snorkelling, rent X jet, and even practice some golf at the exclusive golf the area. Chahue Bay, meanwhile, also offers tourist attractions: is home to a large marina for yachts, a mall, bookstore, cafes and restaurants. It is also famous for its Guelaguetza park, a stunning place are carried out festivals and cultural events throughout the year. It is advisable to check in advance what will be presented during your stay. Conejos Bay certainly for those wishing to get away from it all is, has beaches with calm waters and is ideal for sunbathing and swimming. It is also one of the best bays to enjoy the scenery. Why not ride while we are there? One hour costs only 150 pesos. For nature lovers, the bays of San Agustín Cacaluta and allow you to see a lot of wildlife, while Cacaluta Bay houses the magnificent Laguna Zanate a place that receives flocks of migratory birds fleeing the cold North. And if that were not enough, the Bay of San Agustín has the largest coral reefs in the Pacific Ocean. If you're looking for gastronomy unusual, you must travel to the Bay of Maguey where you can eat delicious fish and other seafood in traditional palm-thatched palapas (palm leaves) at very affordable prices. You can not leave without trying some regional specialties from Oaxaca: quesillo (stringy cheese), beef jerky (a cut of meat), tlayuda (a long omelette, grilled, topped with various ingredients), grasshoppers (locusts) fried, a spectacular salsa mole, and a delicious mezcal to accompany the meal.